Yadwinder Rai had been known to party on occasion. But a few years ago, his wife noticed a change in him when he came home from a night out. "Our family was destroyed. I told him, 'I’m not going to leave you, but you have to make a choice' "
"His eyes are really weird," Roop Rai recalls thinking at the time. "Most of the time he's sleepy. I just used to think he had a few drinks, maybe that's why he's sleepy, right?" But soon Yadwinder started to sleep during the day, and he would take large sums of cash out of their bank account. When Roop asked him about it, he'd always have an excuse. Eventually he stopped going to work completely and slept most of the time. Roop was working 16-hour days to try and fill in the financial gaps. One day, she caught him with white powder in the bathroom. "Our family was destroyed," she says. "I told him, 'I'm not going to leave you, but you have to make a choice. It's two years [since you last worked]. We have no money in our account. So this is the moment even our house can go.' "
Eventually, Yadwinder told his wife he wanted to change, but he didn't know how. This was just the beginning for the Rais. 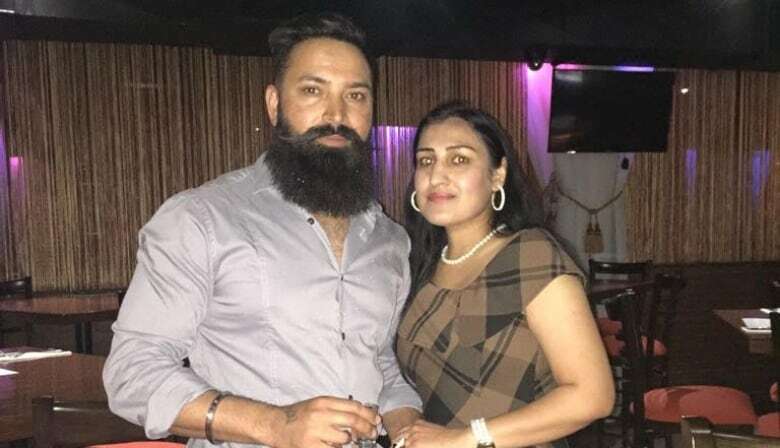 They got Yadwinder into a methadone clinic and, over the next couple of years, Roop juggled two jobs while taking her husband to the clinic and ensuring he didn't use again. She'd call home from work to check up on him and get reports from their kids: "Is your daddy breathing? Where is your daddy? We never left him alone," she says. Today, Yadwinder is clean and nearly finished his methadone treatments. The Rais's story may sound extraordinary, but they and addictions awareness advocates say their story is extraordinary only because it is so common. While Alberta's opioid crisis is on full display in Edmonton's core, it's playing out more silently in the suburbs. Recent data from Edmonton police and Edmonton Fire Rescue services show that 85 per cent of people who died of fentanyl overdoses last year were outside the inner city — and the South Asian community in the southeast is not immune. Dr. Avi Aulakh works as a physician in the area. He says he has seen more people from the South Asian community seeking help over the past year. "Definitely the numbers are increasing," he says. In the South Asian community, the modern-day fentanyl crisis can trace its roots back hundreds of years. says Aulakh. In some parts of India, there is a tradition of consuming opium and tea made from poppy husk or seed pods, called doda. 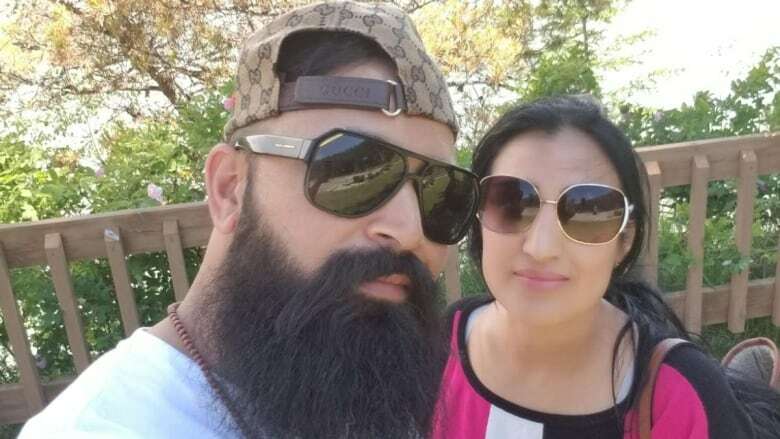 Doda was once the drug of choice for some people in Alberta's South Asian community, Aulakh told CBC's Radio Active. It was even sold in convenience stores. That's how Yadwinder was first introduced to drugs. He started driving a truck after high school and a fellow driver gave him some dried opioid flowers, which he would put in tea. And he soon developed a dependency. "I was taking it for fun, then I started feeling I needed it in the morning," Yadwinder said. But a police crackdown around 2008 and 2009 made the drug more difficult to obtain. So users like Yadwinder turned to more potent drugs like heroin. And now the problem is fentanyl. "And the unfortunate thing is, when I see these patients from these communities, a lot of them don't know what they're taking," says Aulakh. "They say they're taking something white, something like this. And when we do our own drug analysis, we tell them they're consuming fentanyl or something else." But Aulakh says stigma prevents many people from even seeking treatment in the first place. The Rais are a rarity when it comes to their willingness to share their story with the public. While the data indicates overdose deaths are common in the suburbs, you wouldn't know it from reading the obituaries, says Aulakh. "The stories are: A young person went to sleep, didn't wake up. Just died suddenly of cardiac arrest. So many young people don't die suddenly for no reason," he says. That's why he founded NASHAA a few years ago. The Edmonton-based National Advocacy of Substance Abuse and Harm Reduction in Adults & Adolescents is a non-profit organization that aims to raise awareness about substance abuse, particularly in the South Asian community. The group holds seminars in summer schools in the community. And it holds forums on drug awareness facilitated in Punjabi, like an event coming up this Sunday afternoon at the Meridian Banquets and Conference Centre. Roop and Yadwinder Rai will be among the panelists speaking at the event. Roop says it's important to speak out about substance abuse. And she hopes her story will inspire others to seek help. "It was a real struggle," she says. "But we made it. We made it through." Her message for others struggling with addiction: "Never, ever give up."